As part of my challenge of gathering 30 game usability reviews, I’ve been collecting some mobile games (and other games if I have the opportunity to play them) and writing about them as a cool exercise (why not?). This is a mobile game designed for iOS by developers Just So. The game is originally a 3-player game in which you should solve puzzles together. However the difference is that each player can only work with one sense: one deaf, one might not speak and the other one can’t see. Clearly, it was inspired by emojis  – which is cool and current. This means that many people might fee attracted to this type of game. The tagline of the game is simple as it says: a three-player puzzle game. This is not something that you can see everyday in games. 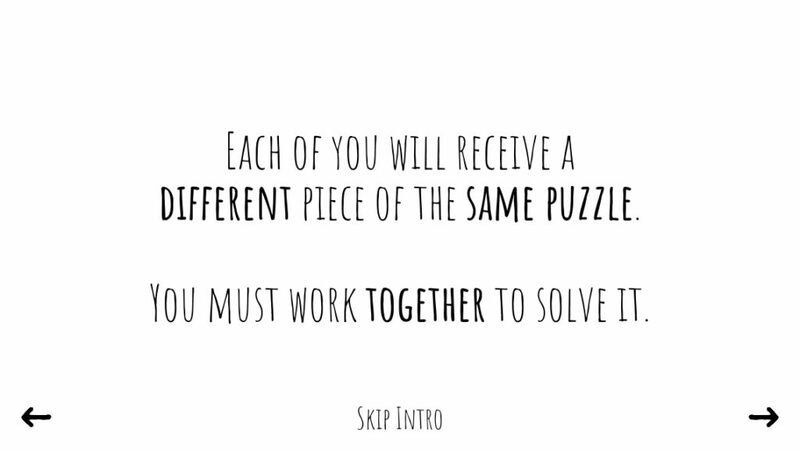 Being 3 game players makes it different and solving problems together sounds a lot of fun. 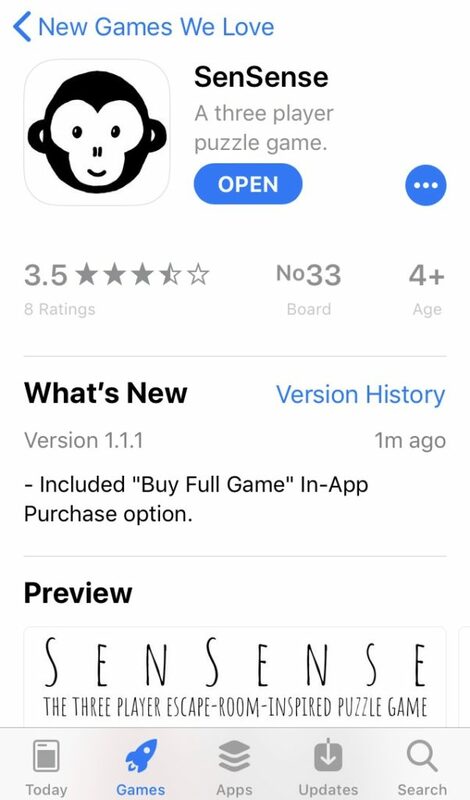 The icon is simple, black and white and because of that, the game itself has a good marketing and “attraction” in the app store page, making it stand out. The game is to the point and using the monkeys based on the emojis can make people feel some kind of familiarity with the game. Also, the proposition is straight forward. The tutorial is also simple, with black and white colours and small chucks of text. Players can skip the tutorial if they wish. In this case, it should be most everything. I couldn’t play the game without having people around! So devs should think about how to add random people to the game (without having to access a room through a code). Also, it should have at least 3 gameplay options – single player, 2 players and 3. Sometimes couples could play together and the other missing monkey could be computer generated. I have not played the game itself because I didn’t have 3 people whilst I was doing this review. But I thought that devs could definitely consider this. I had the first “wall” when playing this game in the beginning so devs should consider those small things as soon as possible. I didn’t find a gameplay video and that might be the reason why.